Although preferable to incarceration, serving a sentence of probation is challenging. Therefore, you may be at a juncture in your probation sentence at which you desire to file a Motion for Termination of Probation. There is a procedure in place that renders your chances of obtaining a termination of probation more likely. Although the laws regarding termination of probation vary slightly from one jurisdiction to another, the major procedures and requirements substantially are the same. Verify that you completed all of the terms and conditions of your probation sentence. For example, if you were ordered to participate in community service, be certain you completed the requirement. Calculate how much time you served on probation. Generally you need to serve at least 50 percent of your sentence before a judge considers a termination of probation. Contact your probation officer and determine if she objects to your desire to terminate probation. 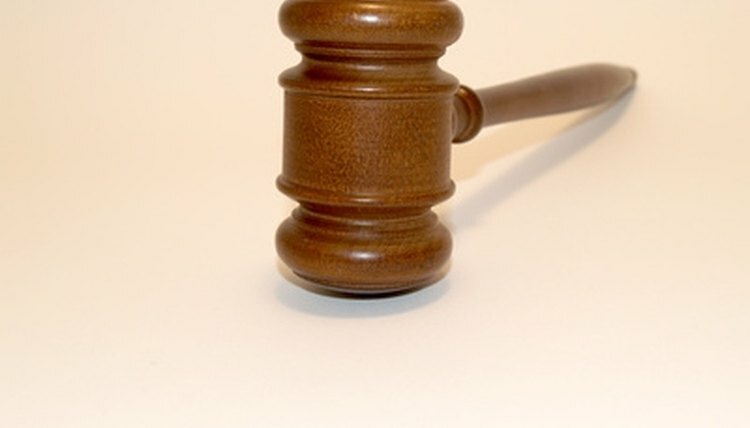 If your probation officer does object, a judge is not likely to grant your request. Obtain a standard form motion to terminate probation. Your probation officer may have such a form. Otherwise, request the form motion from the clerk of the court where you were sentenced to probation. Complete the Motion to Terminate Probation. Include a statement that you satisfied all probation requirements. Note that your probation officer agrees with or at least does not object to your motion. Finally, indicate that you completed at least 50 percent of probationary term. File the motion with the clerk of the court. Request a hearing date and time from either the clerk of the court or from the administrative assistant to the judge that sentenced you to probation. Notify your probation officer of the date and time of the hearing. Broemmel, Mike. "How to File a Motion for Termination Probation." , https://legalbeagle.com/6107588-file-motion-termination-probation.html. Accessed 25 April 2019. What Is a Petition to Revoke?